Below 10 degrees? 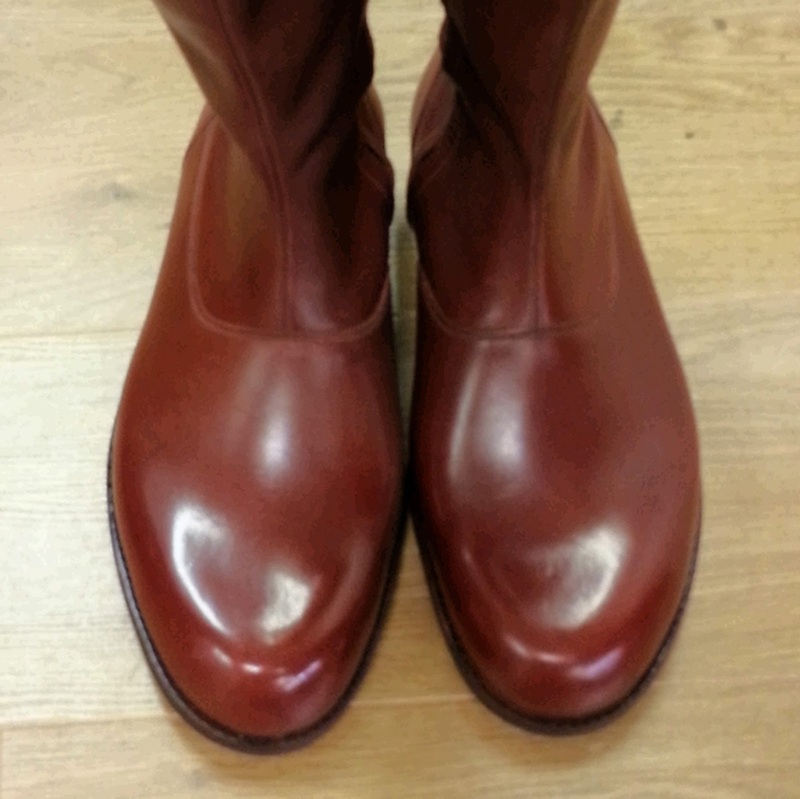 It must be Boot Time! The weather in England has finally noticed that it is November. After the warmest Halloween night on record, the temperature finally dropped so that our traditional 5th of November, Bonfire Night could be spent in scarves, gloves and hats. (In brief, Halloween or All Hallows Eve revolves around the theme of using humour and ridicule to confront the power of death, whilst Bonfire Night celebrates Guy Fawkes failure to blow up the House of Lords and King James 1 in 1605). 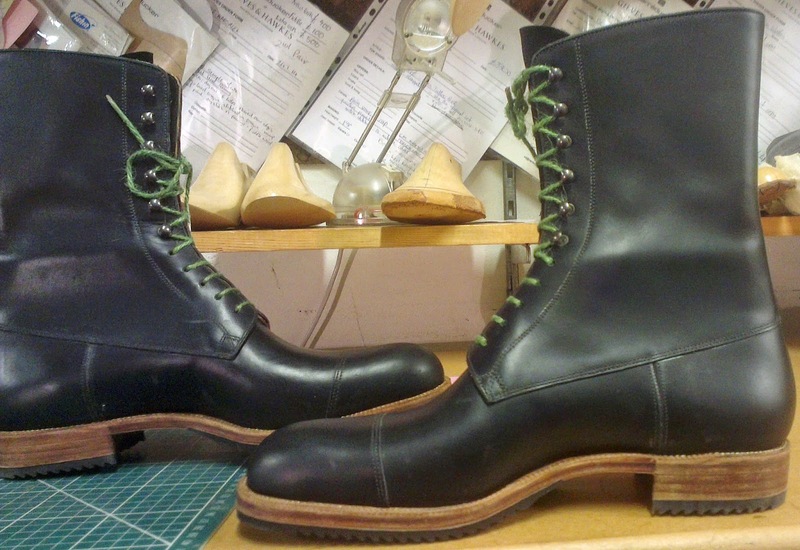 Anyway, enough of history, colder weather means boots, so here are a few recent commissions! 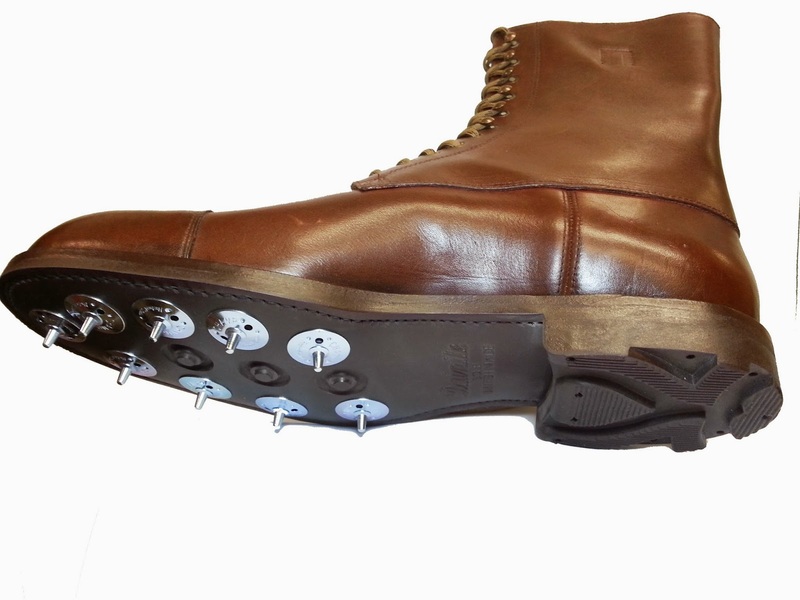 and in the same style in Horween Latigo with golf studs, rubber soles and cleats for extra grip on the hillsides. 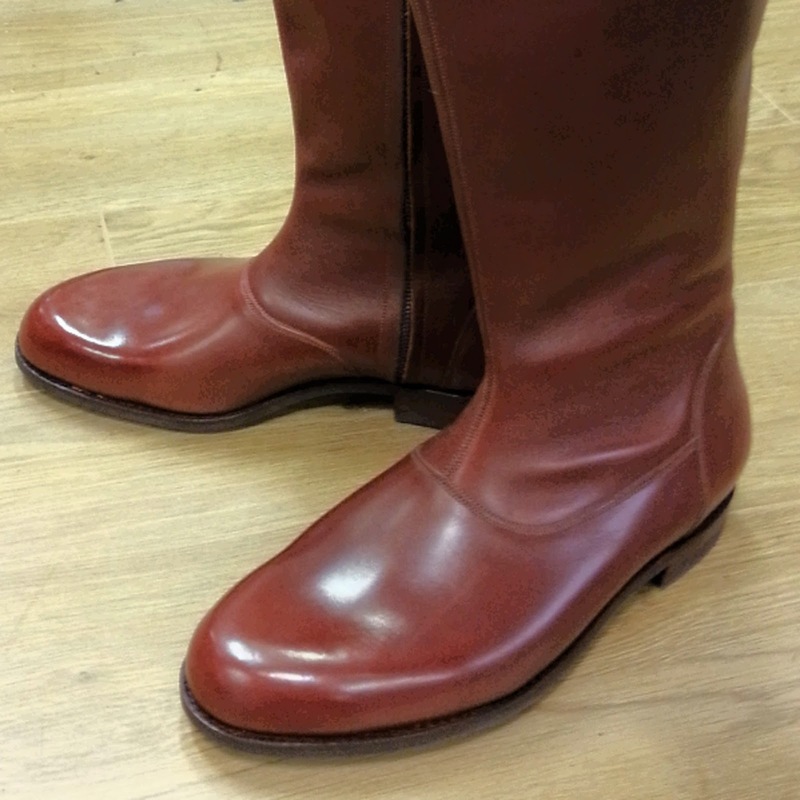 Tall, plantation boots with straps to close off the boot upper to keep the creepy-crawlies out! 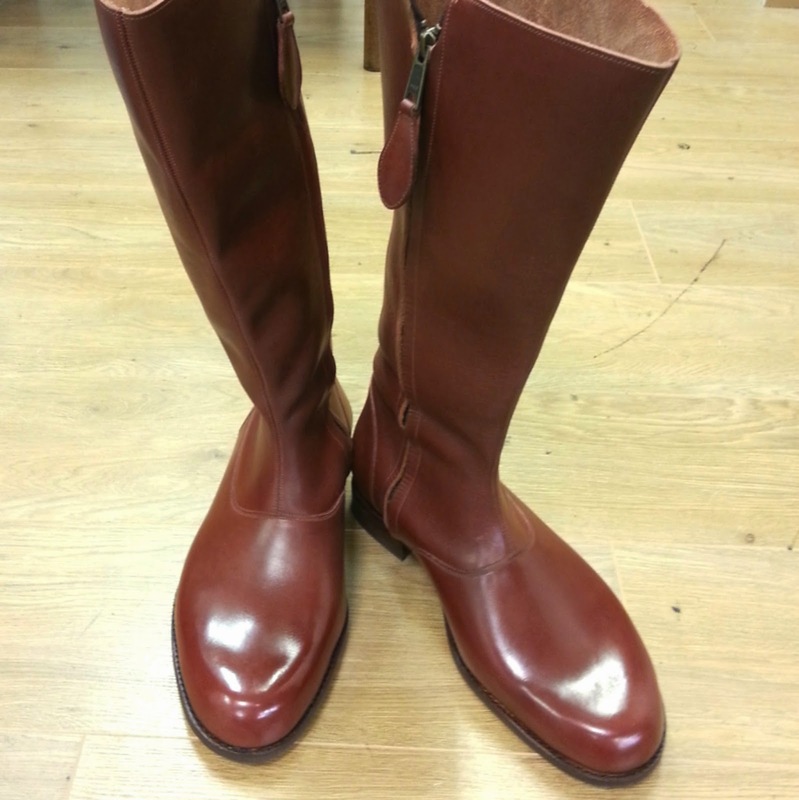 A pair of ladies' knee boots with an elegant toe and front seam. 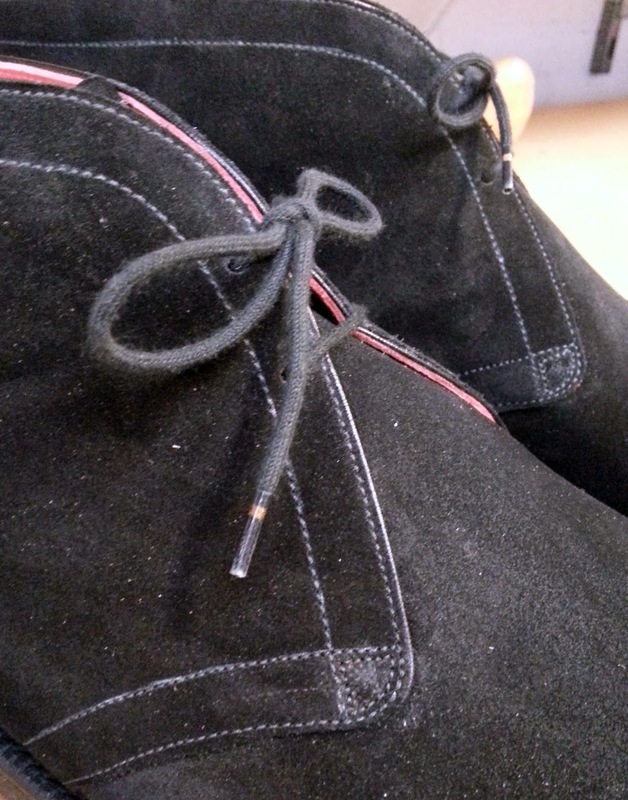 Soul-full, suede desert boots with beautiful scarlet linings. We'll be kicking up the autumn leaves and cosying up to a roaring fire this weekend. Until next week happy shoe making! 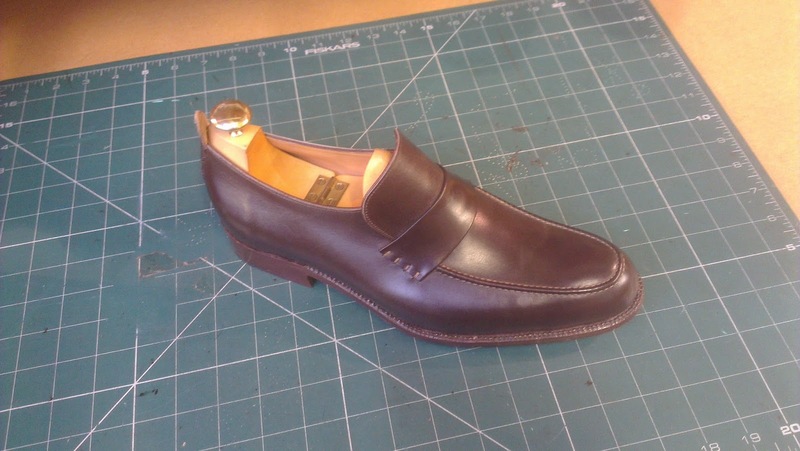 When we're teaching, students often ask how important the last is to the look of the finished shoe. 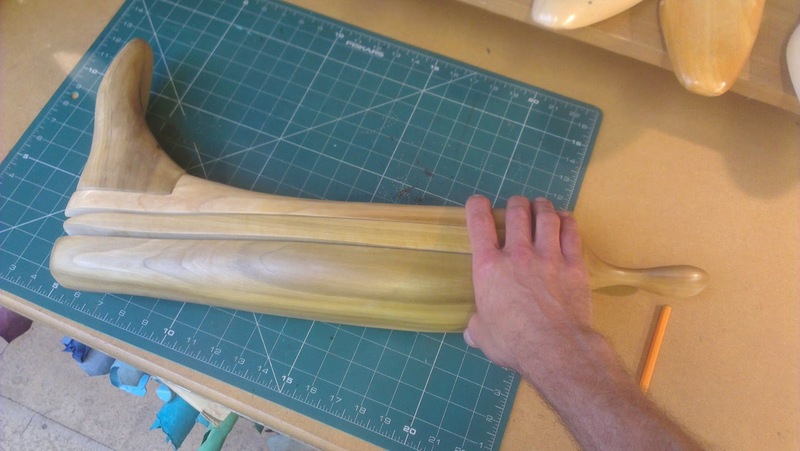 Well the last and toe shape are a vital starting point, but in fact every decision that you make actually impacts on the final look of a shoe. James and I have been discussing which last we should choose for our new spectator design and we thought that this would be a good way of illustrating this point. Below are the two lasts we are thinking about. 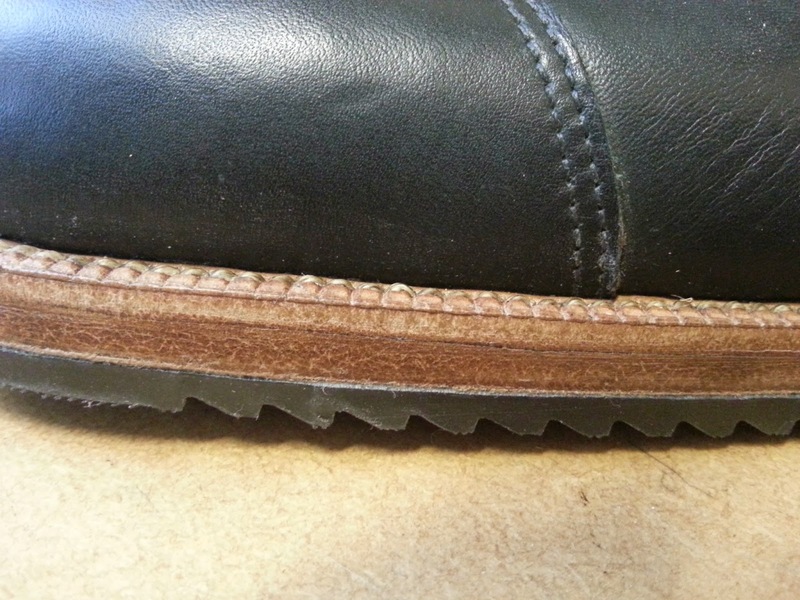 The upper has been made from a pattern for one of the lasts, but we've pulled it over both to see how it looks. Very different as you can see! 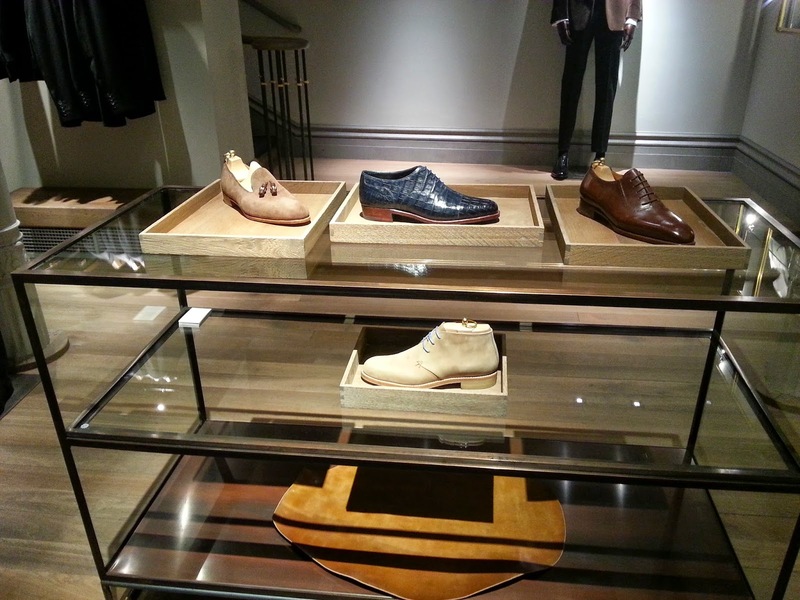 We originally used the last on the left for our new Loafer and the last on the right for our new Oxford (see below). 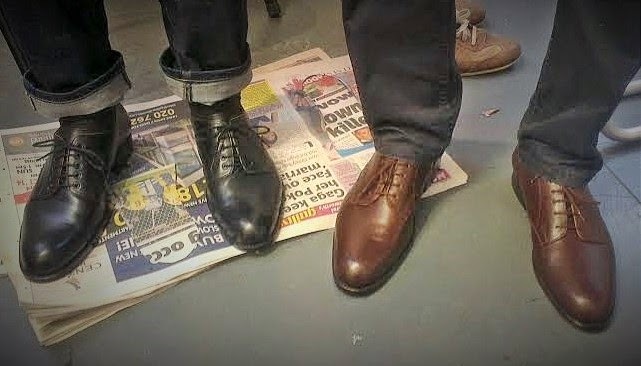 You can see how different from the Spectator the Loafer and Oxford look, despite the lasts being the same. The lack of seams on the Loafer and the skin texture of the Crocodile give the shoes a completely different feel to the Spectator example. The Loafer last looks more casual and relaxed with its flat, rounded toe. 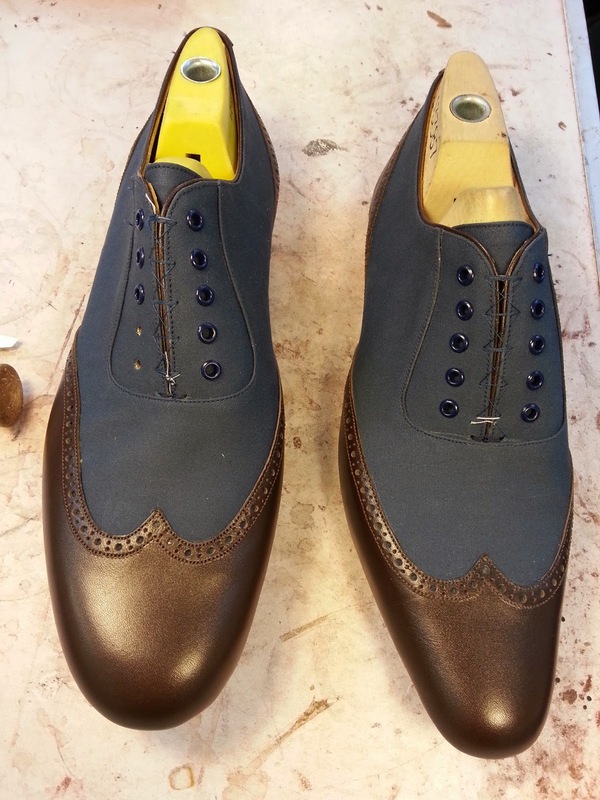 and the Oxford last looks more elegant and sleek with its elongated, snub nosed toe. But how different will they look if the sole is leather, or rubber or crepe? Can you picture it? And can you guess what we chose? Food for thought. 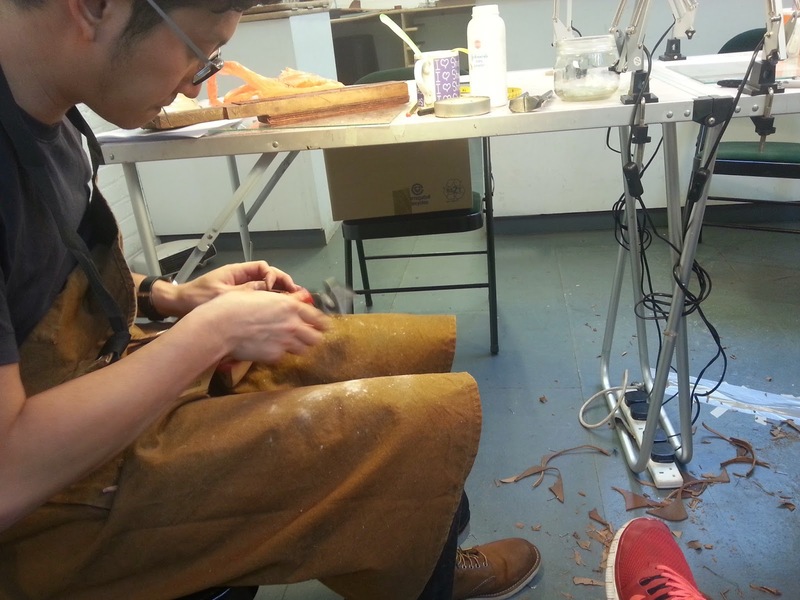 Until next week happy shoemaking! 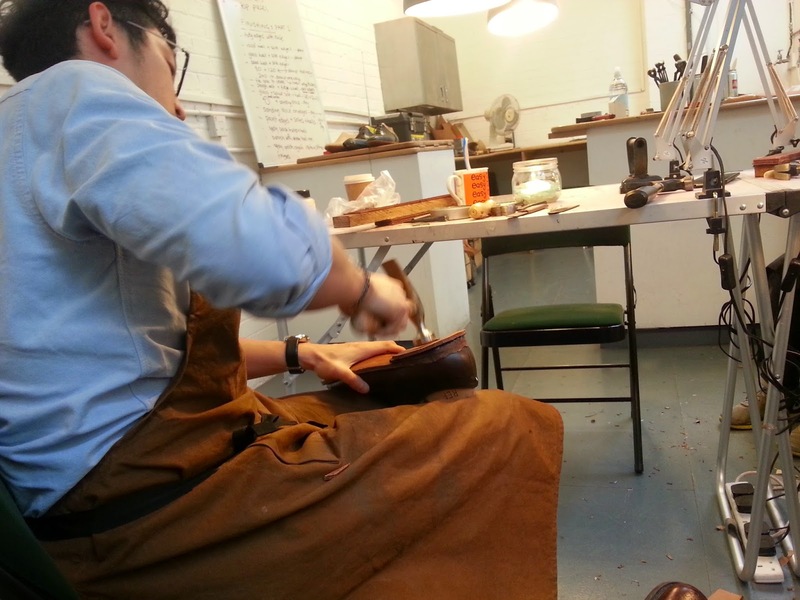 The autumn course finished in a flurry of activity as the guys took on Finishing, the most important part of shoe making, once you've actually mastered making a shoe. 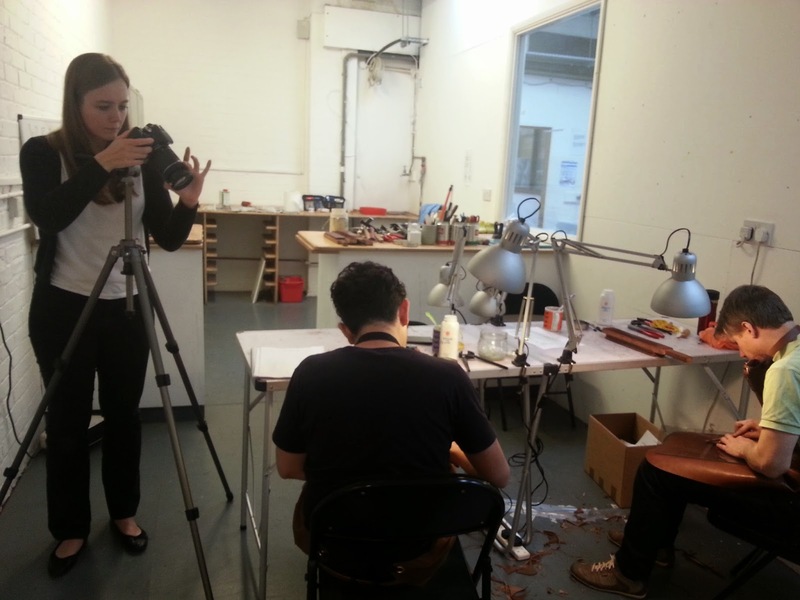 To add extra urgency to the course, the students had kindly agreed to be filmed for an article and a series of short films on craft in the latest issue of Creative Review magazine (and soon on line). (Don't worry, we'll blog the link once it goes live). Luckily all of the extra attention did not seem to put them off their stride and they kept their heads down, working hard. Camilla getting ready for a close-up! 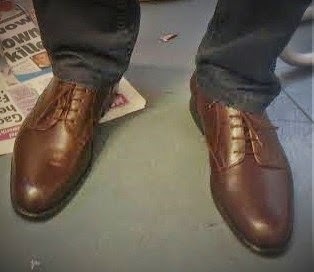 And the finished shoes...apologies for the pic quality, but the shoe making quality was superb! Well done guys! Wishing you all a very HAPPY ST. CRISPIN'S DAY for tomorrow, 25th October! Here's the stirring St. Crispin Day speech by William Shakespeare from Henry V to set you up for the week ahead - until next week happy shoemaking! 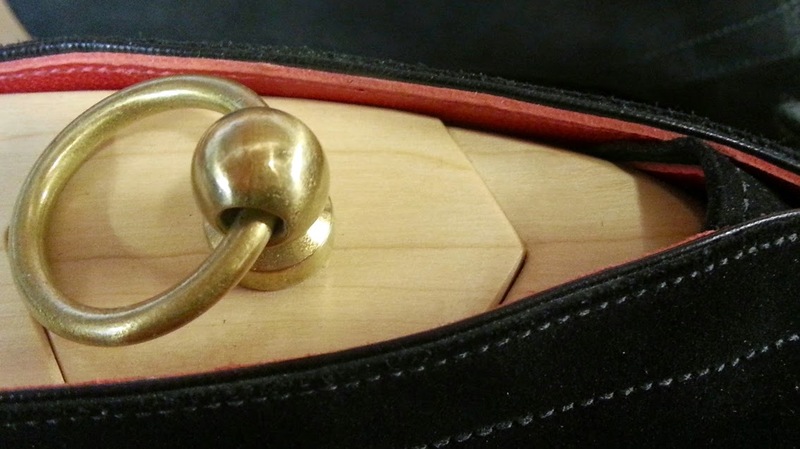 Once again, we welcome you, new readers and old, to our shoemaking blog. 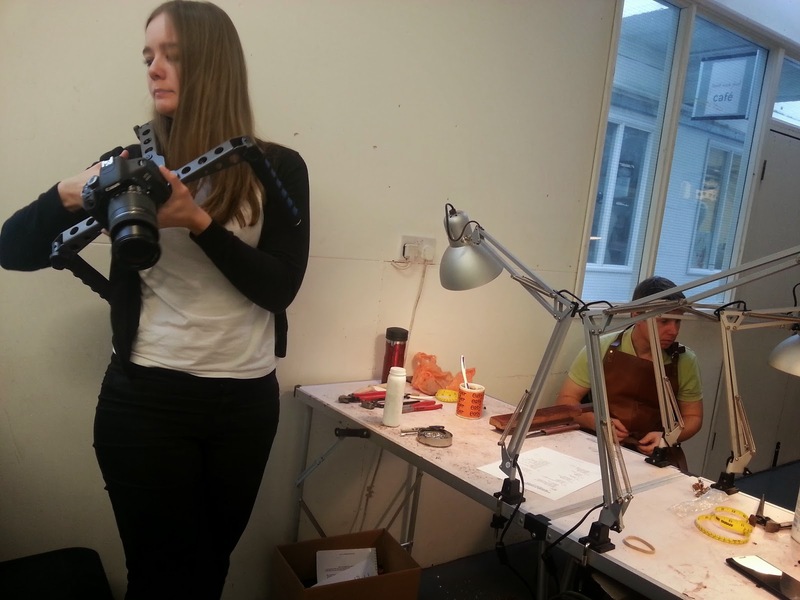 This last two weeks has seen us teaching our October Intensive Shoemaking Course. 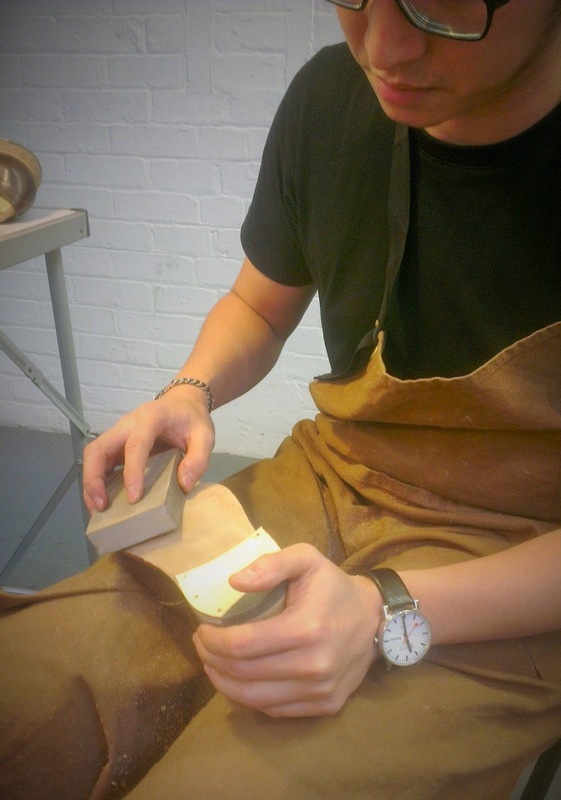 Today is the penultimate day and the students are rasping their heels, so good progress has been made. 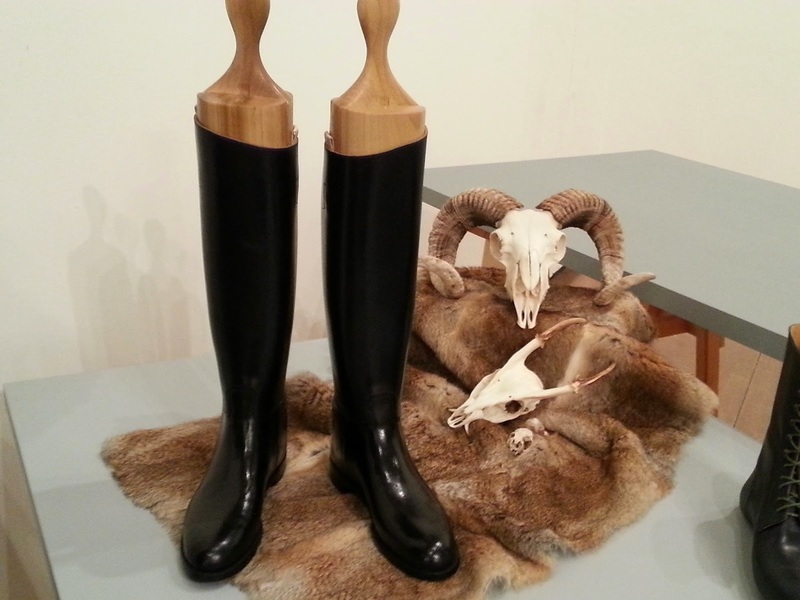 Initially, these appeared to be much like the ones we use for our riding boots. Except that when we opened them up, they had a curious hollowed out middle with a spring loaded section and small metal post which acts as a guide and puts some tension into the trees. We thought they were both curious and ingenious. 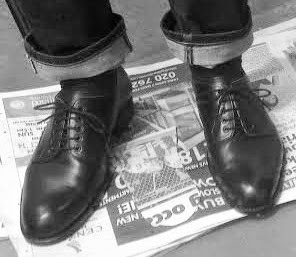 I spoke to our last maker and he said he had seen them before but never made a pair. Apparently they make them a bit lighter too which is good. And this leads on to trees in general. 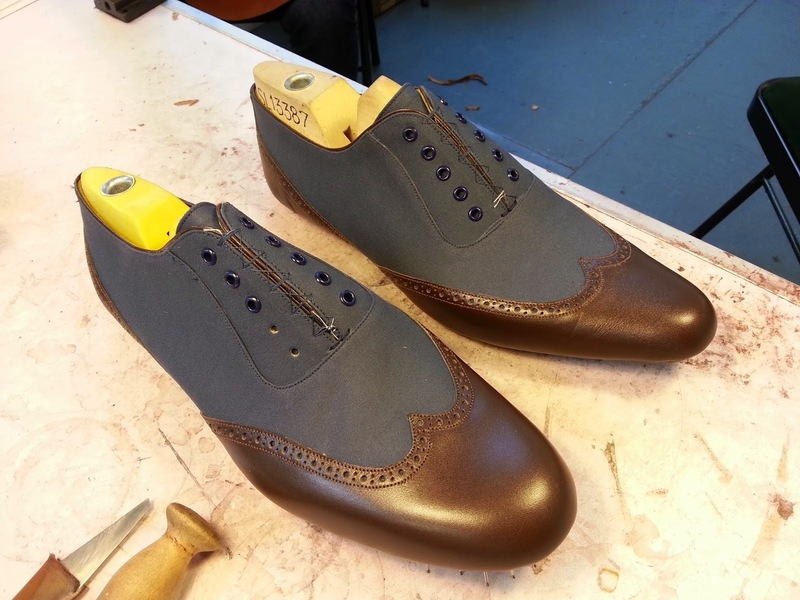 We always include a pair of bespoke trees with our bespoke shoes and boots. These have a few functions, the main ones being reducing creasing on the vamp and wicking away moisture from the inside of the shoe. 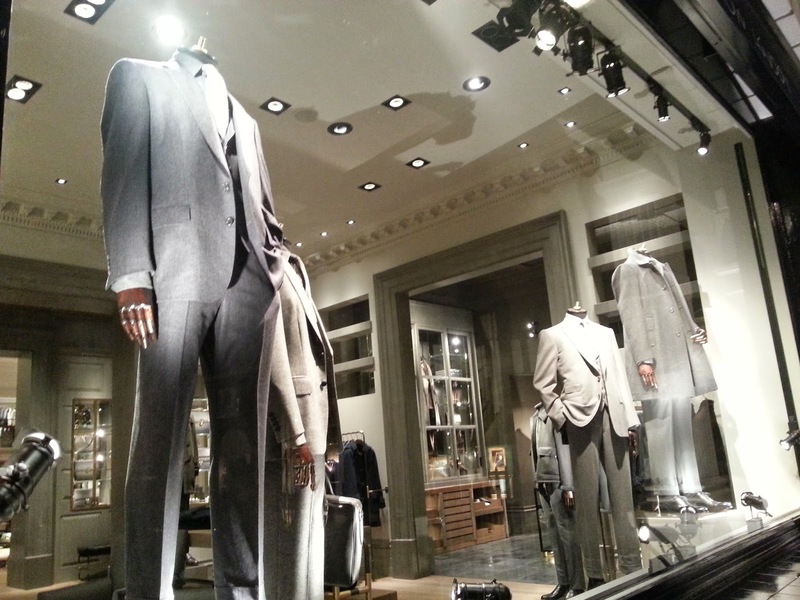 They are hinged and hollowed out underneath for lightness. 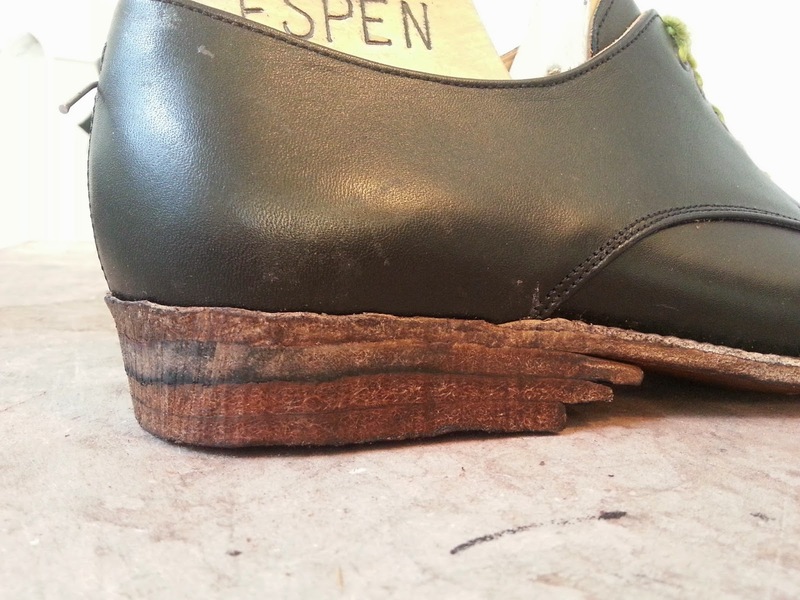 These have been varnished, but normally, they are untreated so that they absorb moisture from the inside of the shoes. 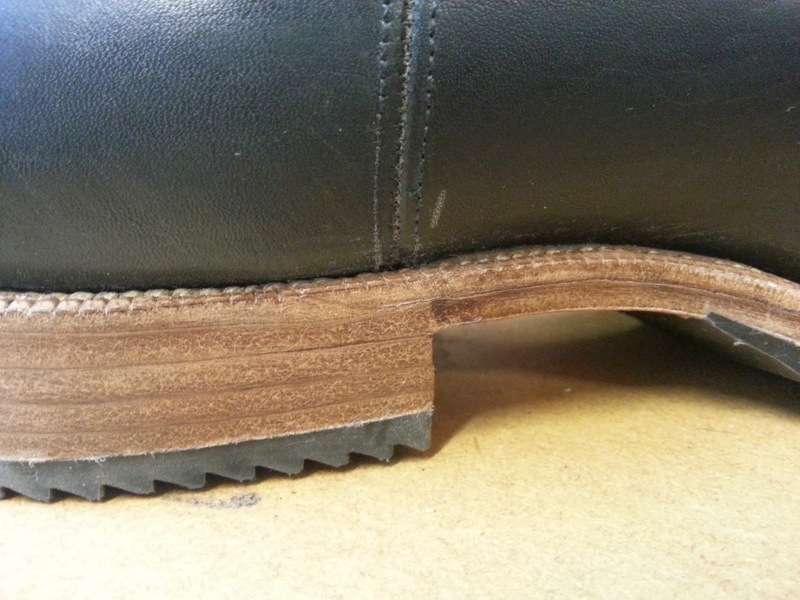 You push the fore part in first and the close down the back part and this puts a stretch on the shoe which pulls the vamp back into shape and helps to make the creasing on the break better. 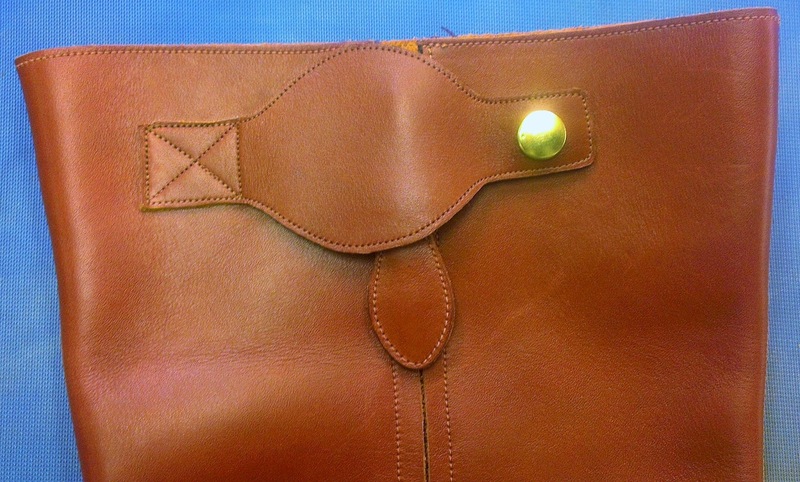 The leather shrinks back into its original shape better. 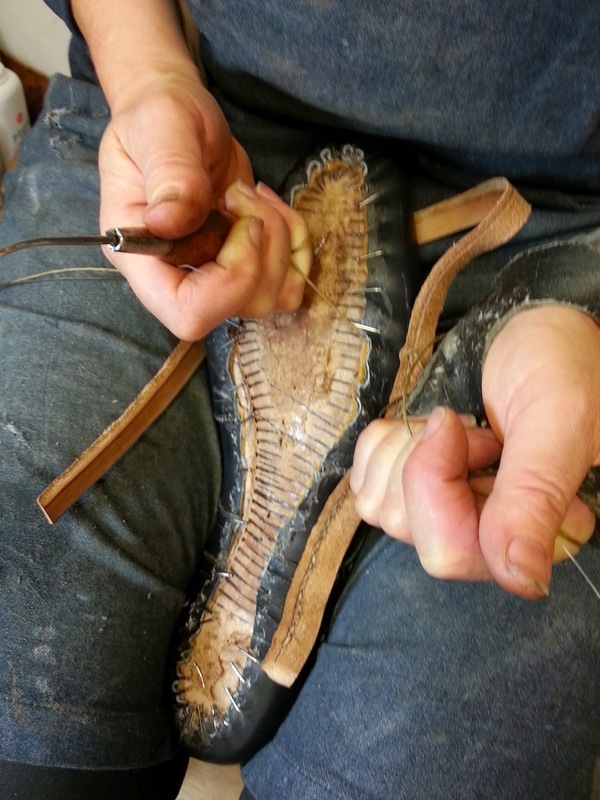 They are made by the last maker who made the lasts for the shoes in question. 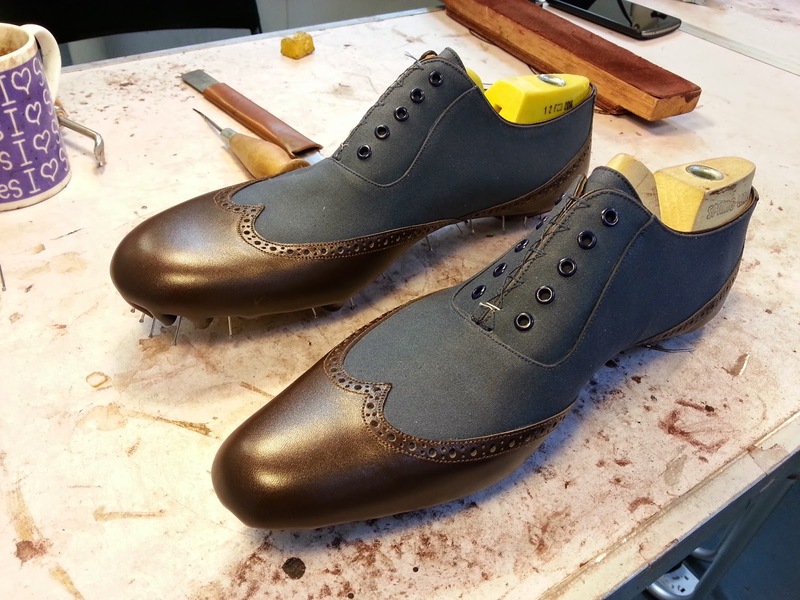 When the shoes are finished, we pull the lasts; put in socks and then send both the shoes and the lasts back to the last maker who will make the trees. 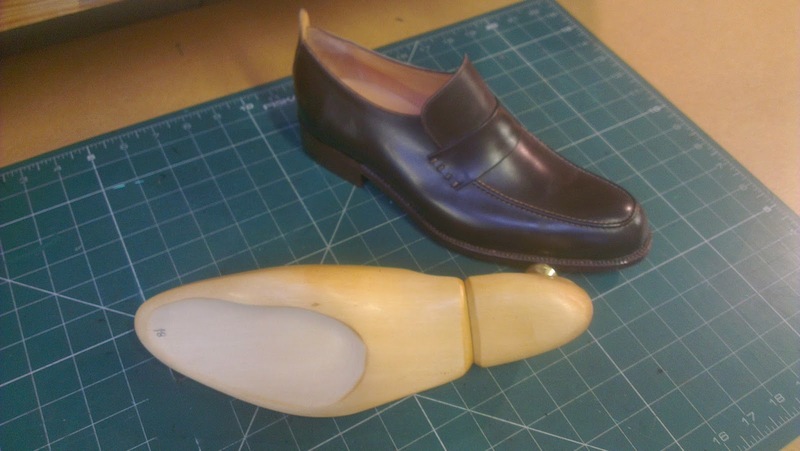 Obviously the majority of people won't have bespoke trees, but bought ones serve the same purpose and are highly recommended for good quality leather shoes. When it comes to ankle boots, the trees change slightly and come in 3 parts. 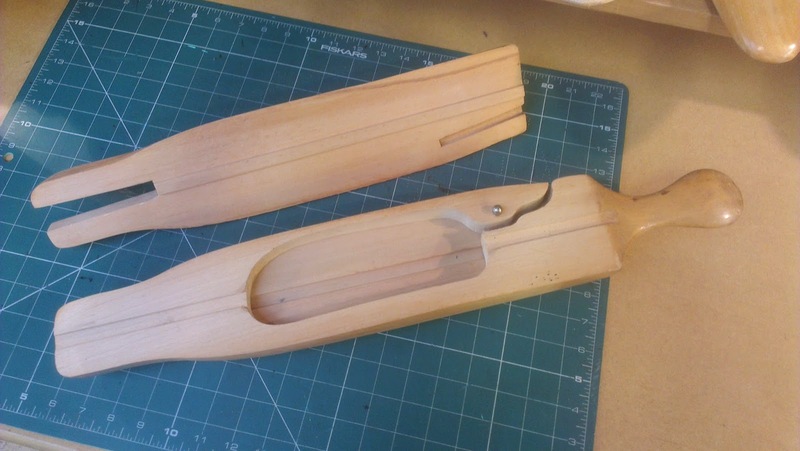 These perform the same functions as the shoe lasts but are fitted slightly differently - you place the fore part in; then the back piece is fitted; and then the middle piece goes in and is wedge shaped and stretches the boots to their original shape. 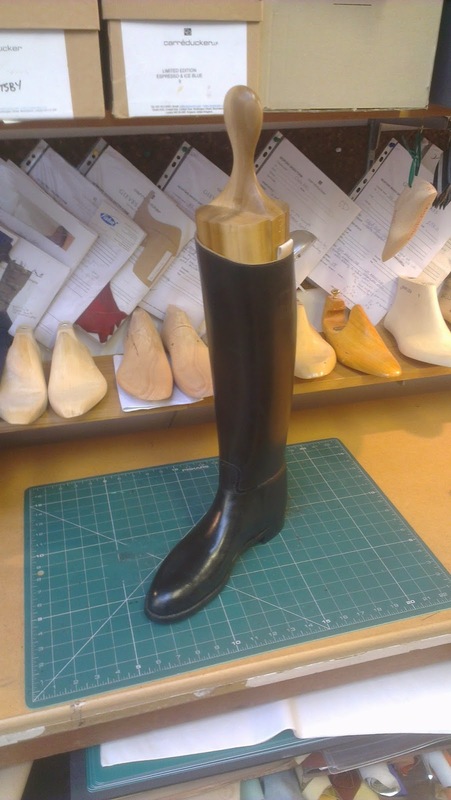 The last type of tree we make are the long boot trees, for example, for riding boots, like the ones above. 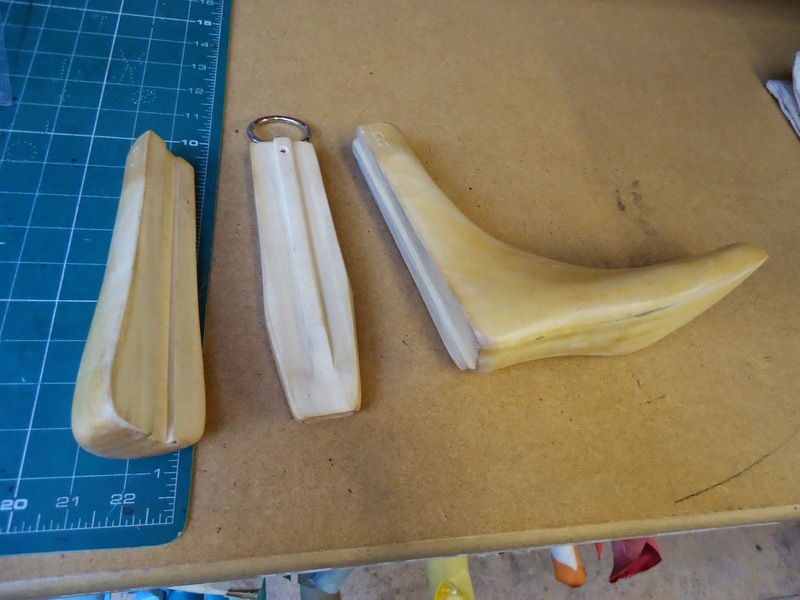 These are four piece, with a foot part and three leg parts. 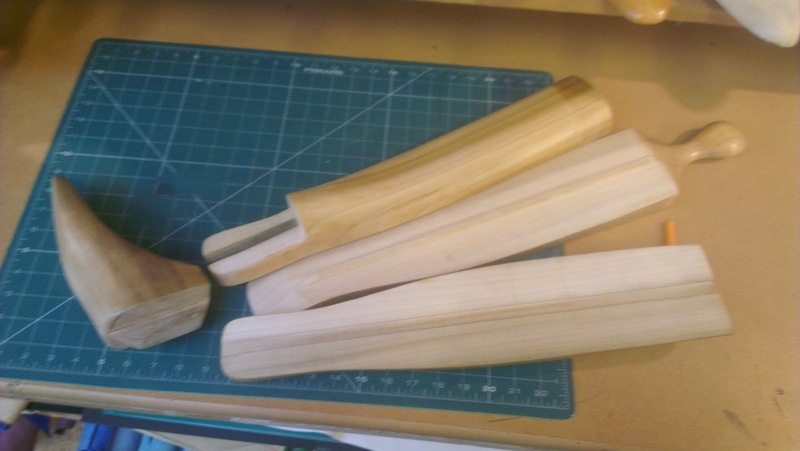 The foot part has something like a dovetail joint on it and when it has been put in place, you slide the front part of the leg onto it and it locks into place. 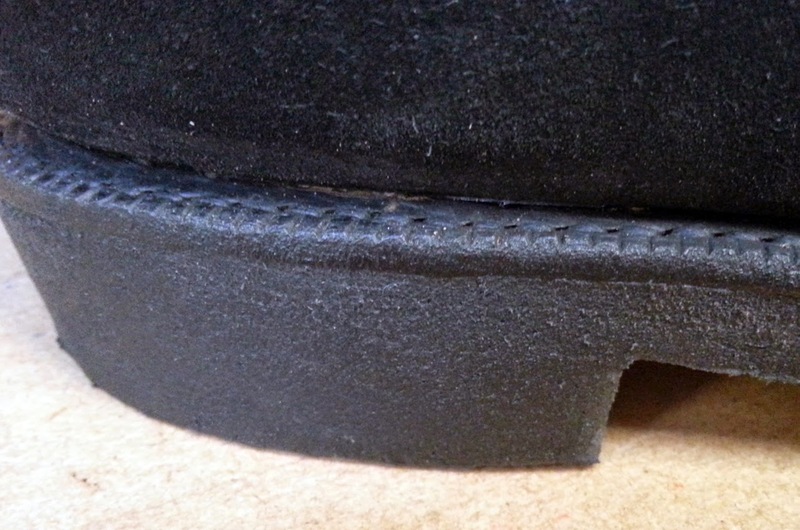 You then put the heel section in and slide the wedge shaped middle section down into the boots. For riding boots, these trees are really essential. 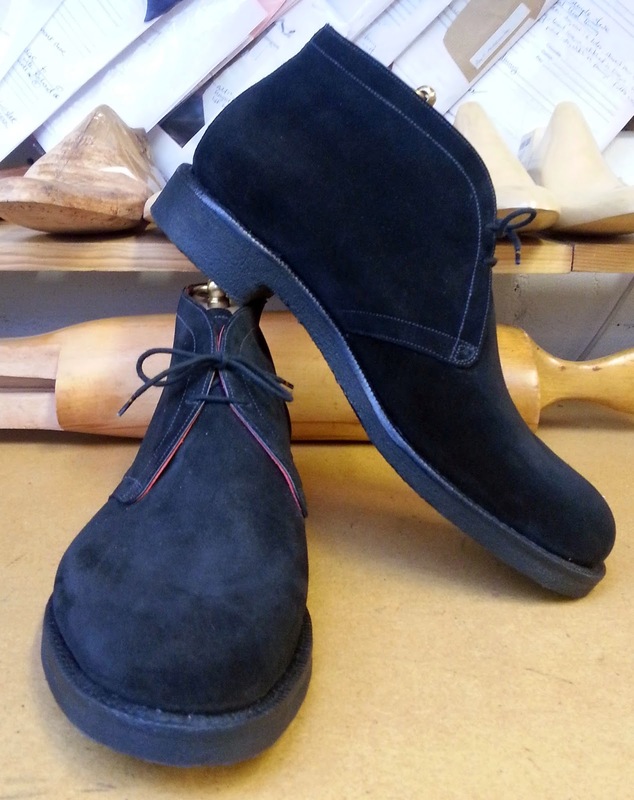 The boots are made from reverse calf which is the suede side of the leather which is dressed and waterproofed in the tannery to look like regular calf. 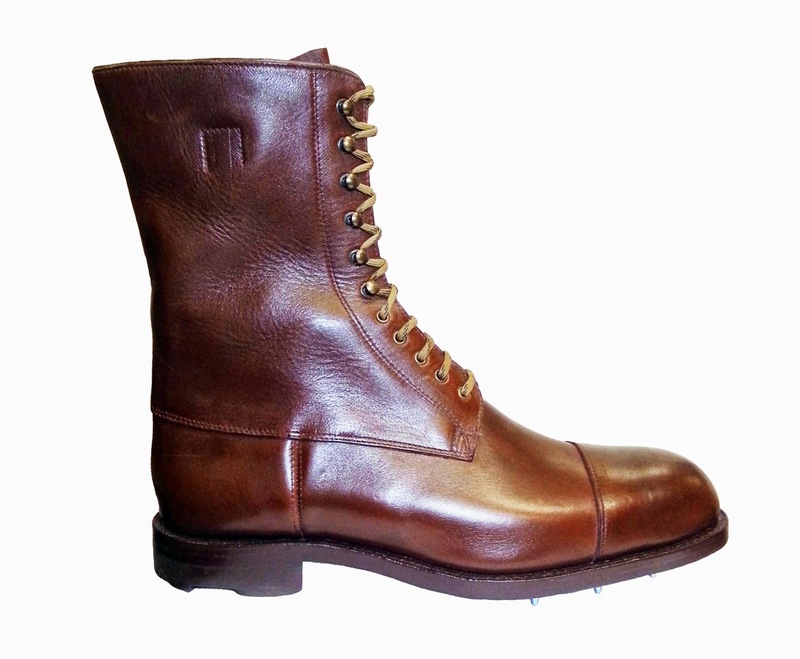 The advantage of this leather is that when you are riding through vegetation and your boots get scratched by thorns, you can sleek it back to its original state with a sleeking bone. So the boots keep their appearance for much longer. Once regular leather is scratched, it stays scratched! However this makes the reverse calf less water resistant, so it can get a bit water logged. This is where the trees become important. 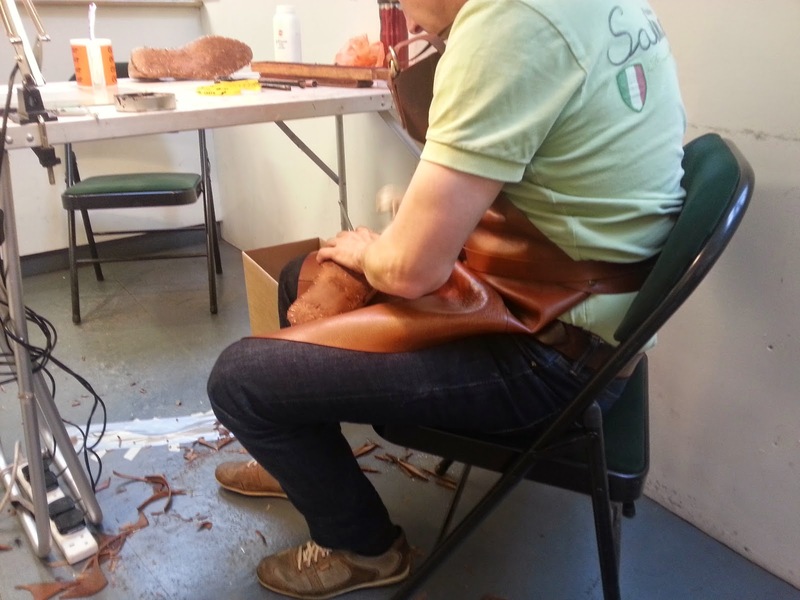 The last maker must make the trees to match the leg measures of the customer and they must fit tightly into the boots so that when they are in place, the wet leather can shrink back onto the trees and keep the shape of the boots correct. This is very important because riding boots have no fastenings, so must be tight enough to stay on, but loose enough to get your feet in. Quite tricky! These trees are made of tulip wood which is both light and beautiful. 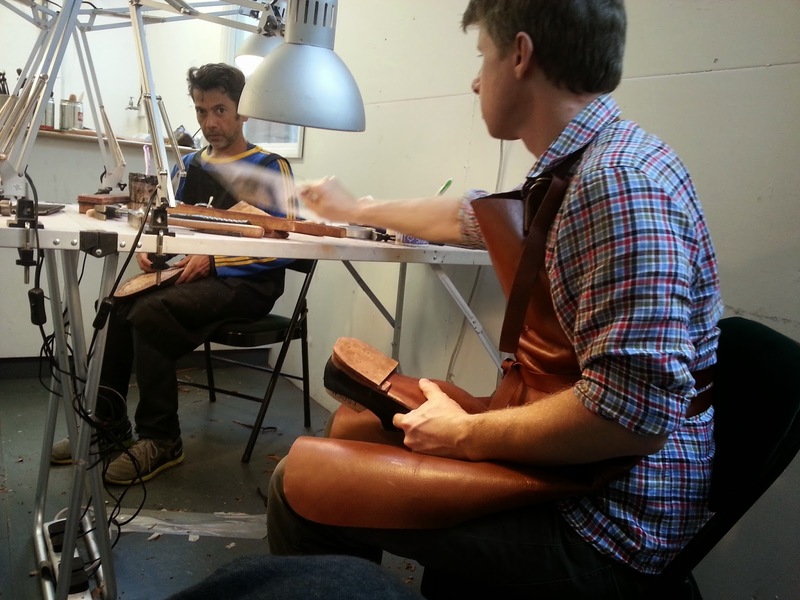 They take about 40 hours to make and add significantly to the cost of the boots. So, all in, trees are very important for the longevity of all footwear and we thoroughly recommend using them. 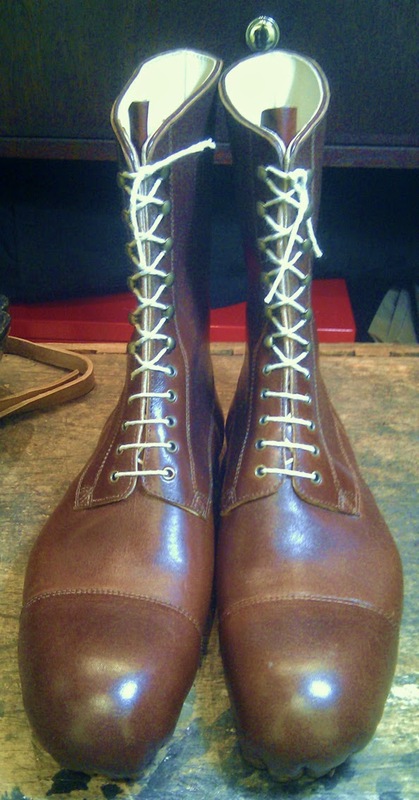 And they are beautiful objects in their own right, at least to old shoemakers like us. That's it for now, guys. 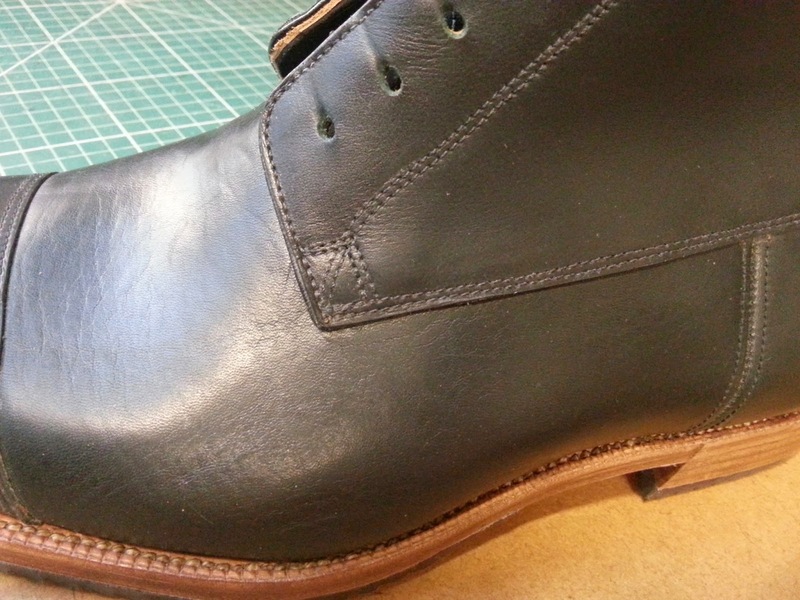 Until next week, happy shoemaking! 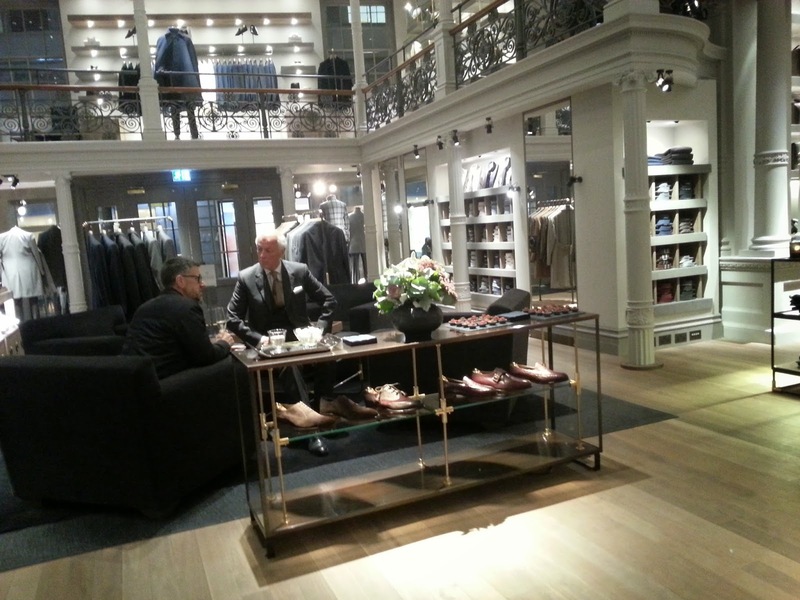 We're delighted to say that the work at No.1 Savile Row is finally finished, the store is fully open and looking resplendent. 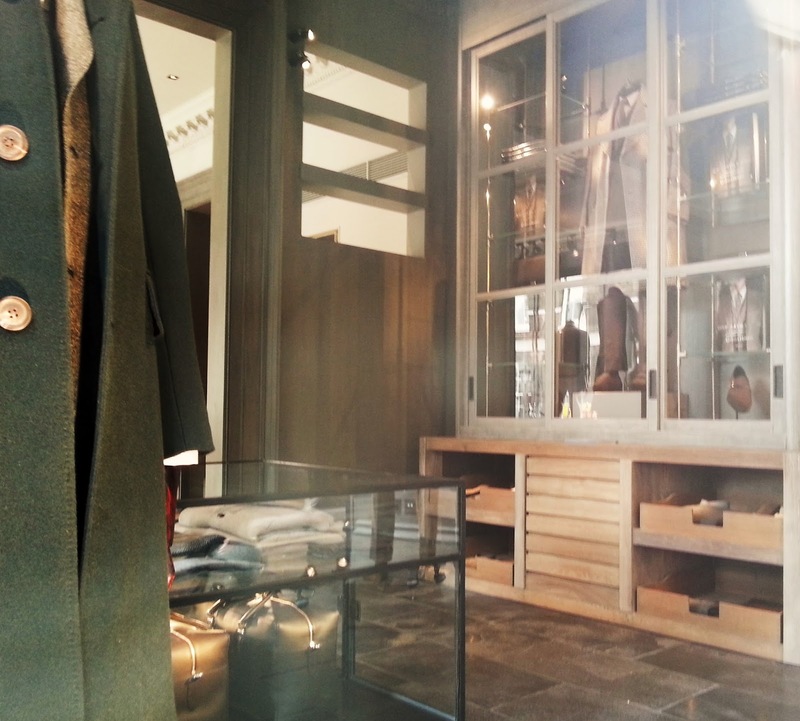 It is masculine, warm and very welcoming with flagstones, glass and oak displays and strong, graphite walls...the perfect complement to Gieves' autumn Highland collection. 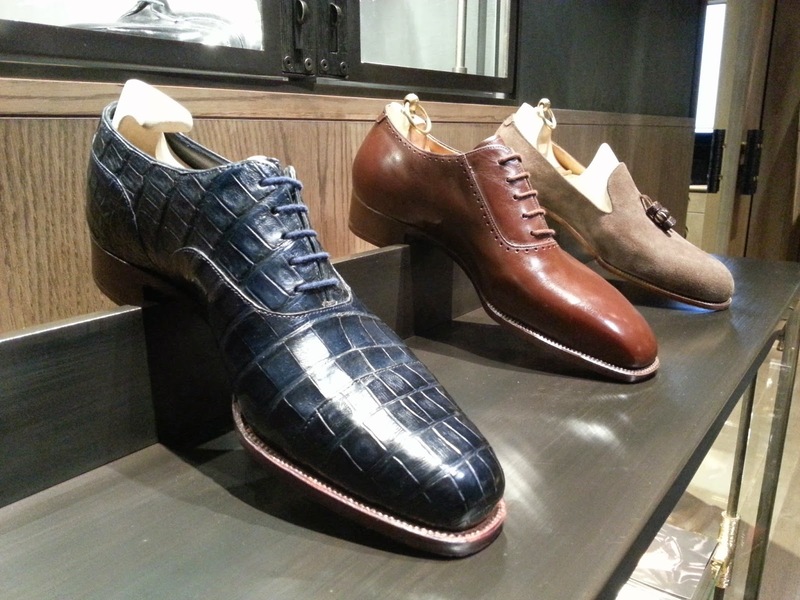 Inspired by our new surroundings, we've developed a capsule collection of new bespoke samples starting with a simple Wholecut in Chestnut calf, an Oxford in French Navy crocodile and a Loafer in tobacco suede with lizard skin 'lantern' tassels. 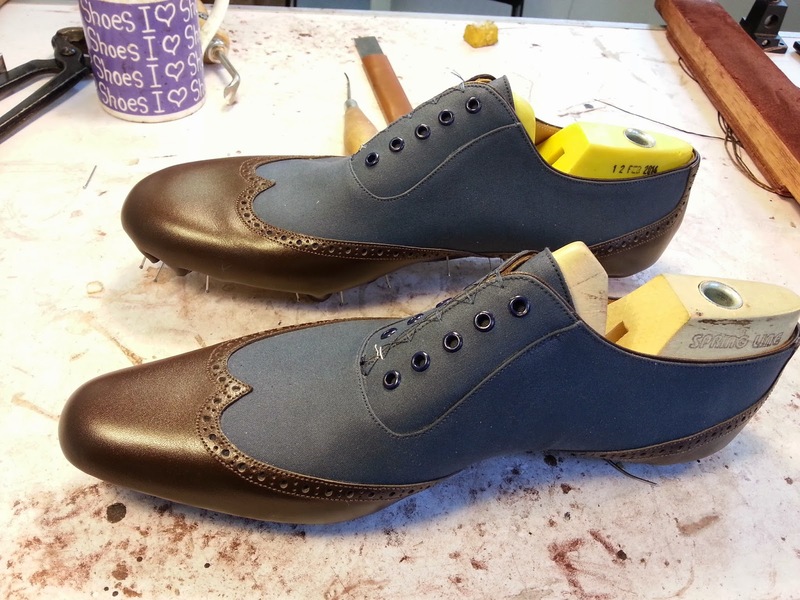 A spectator in slate blue canvas and chestnut calf will be added soon. Perhaps most exciting for us has been discovering our own signature toe shape - seen above in the Oxford shoe. It is taken from an original '30s last and has a distinct 'snub' nose. 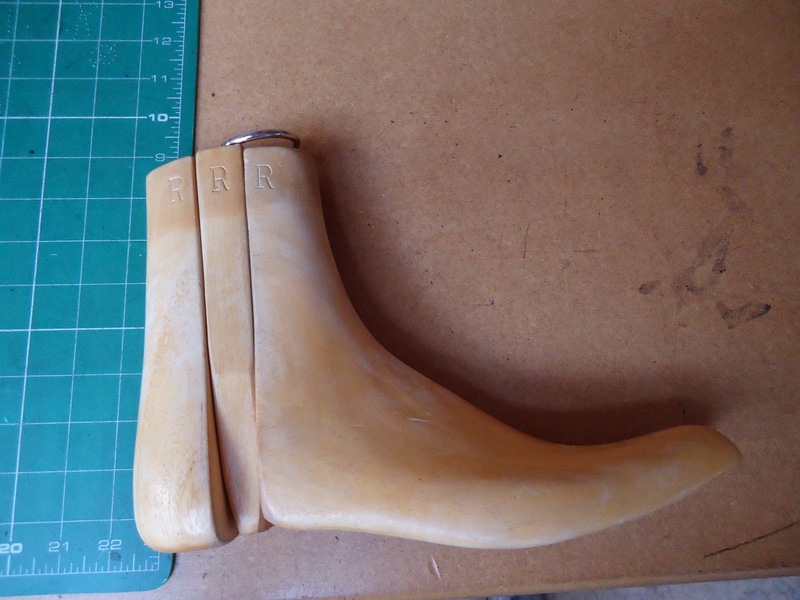 Look out for more shoes with this toe shape from us in the future. 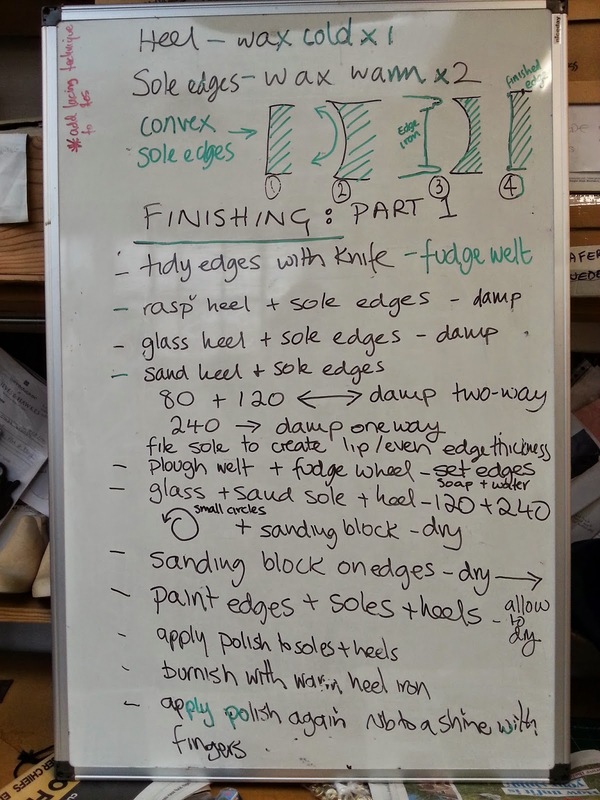 With our autumn course entering the 'welting phase' there have been mutterings of machines and more than a few questions about just how strong you need to be a shoemaker. Is it a case of physical strength or tool technique? 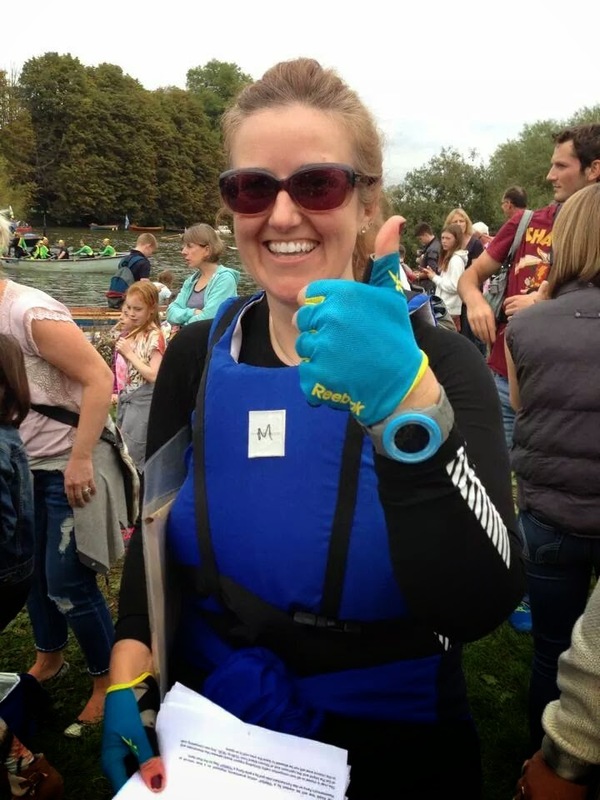 I thought I would put my strength to test for charity and a few weeks ago I rowed London's Great River Race - 21.7 miles (about 32km) along the river Thames. 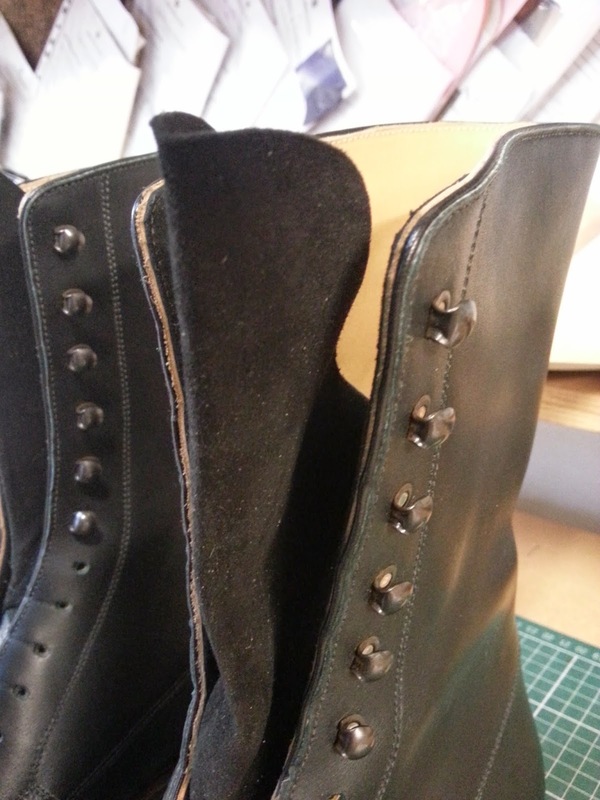 It was great fun, but also proved to me that shoe making at the workbench gives the best core and upper body workout! I felt great and had zero aches and pains. Lawrence, me, Thomas, Joel, Ian, Klaus, Nick, Rob, Victor and Svend (taking the pic). 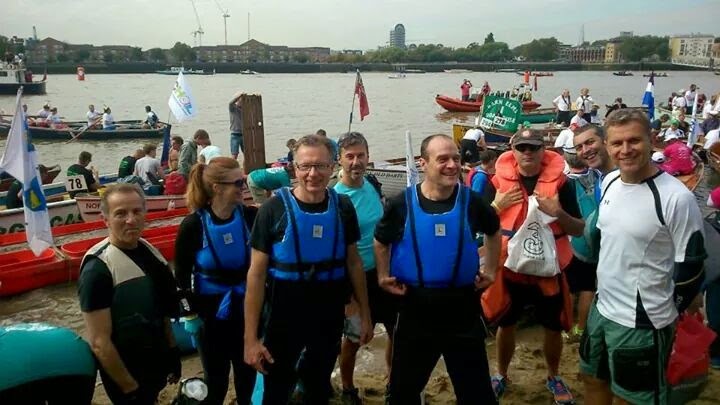 We did it in 3 hours 5 minutes, missing the fastest time for our veteran class by just 15 minutes and only hitting one boat even though we had done no training and only five of us had ever actually been in the boat together before. 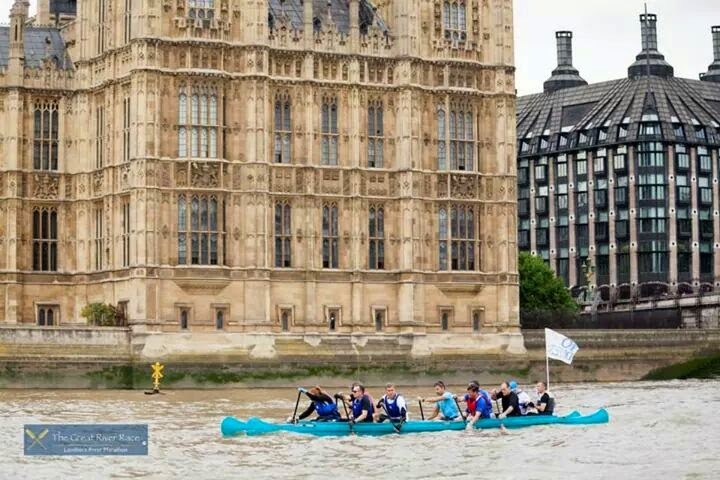 Passing the Houses of Parliament - yes that's me at the front! 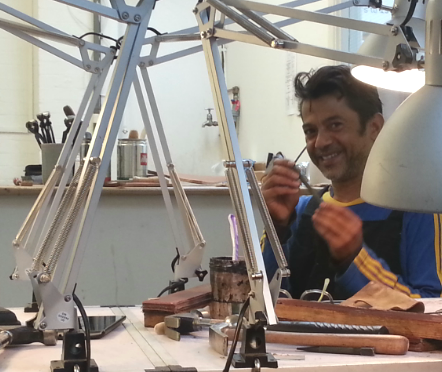 We're going for the fastest time next year, so I'll be training hard at my making bench. 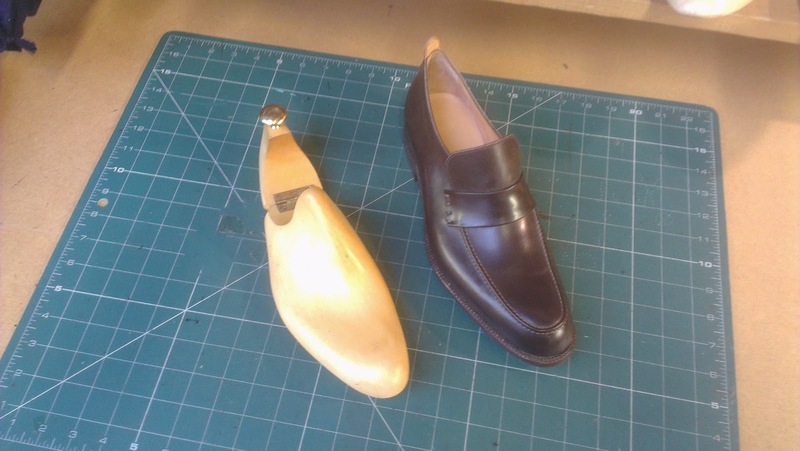 Until next week happy shoemaking!